Compelling performance requires preparation. 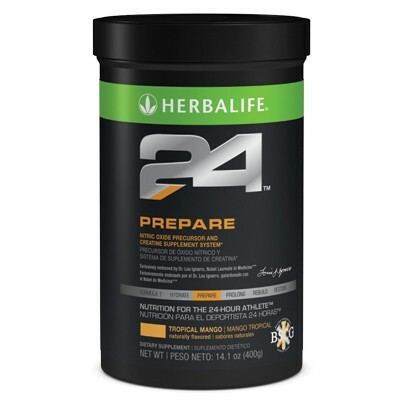 Taken prior to activity and training sessions, Herbalife24 Prepare will help you get more out of your training. Contains creatine monohydrate which improves strength, power and performance in repetitive bouts of brief, high-intense activity. No artificial flavours, colors or sweeteners. Drink Prepare immediately prior to training or exercise. NSF (National Sanitation Foundation) certified. *The Nobel Foundation has no affiliation with Herbalife and does not review, approve or endorse Herbalife products®.